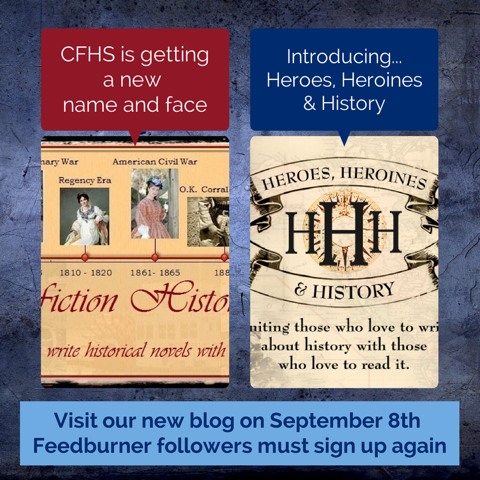 Heroes, Heroines, and History: Swept Away by .... Brooms! Swept Away by .... Brooms! Stoves didn’t exist during colonial American times. 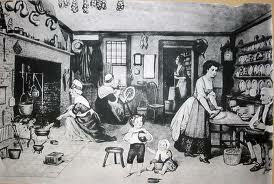 Women cooked outside over an open fire or in huge fireplaces in the kitchen. They prepared meals using reflector ovens and pots hanging from chain, hooks and cranes. Wood was carried in for the fire, and the ashes had to be carried out, which made for a messy job. So, as with most things, necessity became the mother of invention. Voila, the broom came into being. Colonial American brooms, called beson (pronounced bee-zum), consisted of bundles of twigs tied together and attached to a handle. 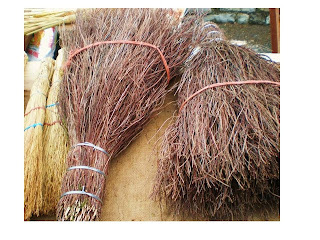 Cordage used to tie the broom was made from hemp and flax. Rougher fibers were used to make the cordage. Other crude brooms were made of reeds, grasses, small twigs, branches, and corn husks but didn’t last long, requiring frequent replacements. As with many other inventions, Ben Franklin had a hand in broom making. He found a seed on a broom that a friend brought him from France for dusting his beaver hat. He obtained some of the broomcorn seeds in Hungary, which he planted and which grew into tall corn-like plants with a flowering brush of stiff fibers. 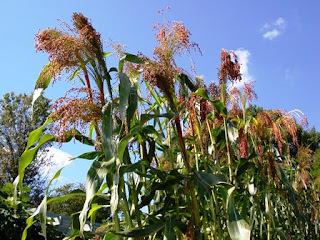 Broomcorn, which had been cultivated in Asia and Africa since ancient times, became a novelty for gardens in Philadelphia. 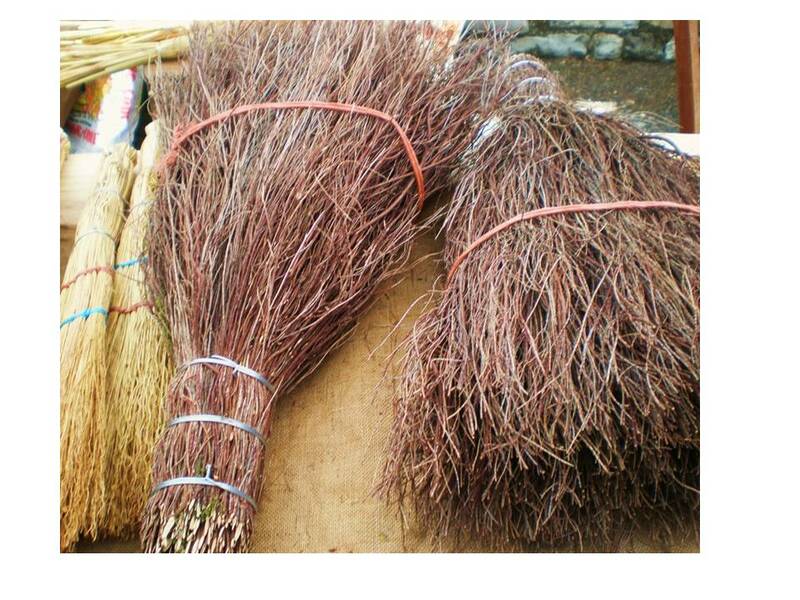 The first recorded broom, comprised of sorghum fibers, was made in 1797 by a man in Massachusetts, Levi Dickenson. The planting of broomcorn and broom-making grew into an important industry, and for more than a century, the American housewife considered a good broom a prized possession. 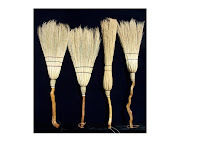 Brooms came in many sizes and for various purposes--floor brooms, outdoor brooms, whisk brooms, brushes, and pot brooms used in the kitchens to clean away dust, debris, and ashes from fireplaces. 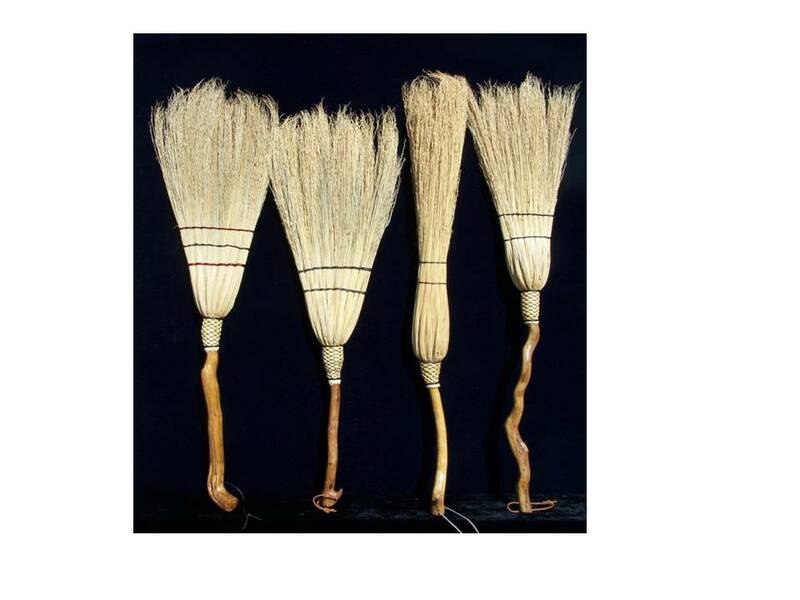 Shakers who lived in Watervliet, NY, began their broom-making businesses around 1798 and are credited with inventing the flat broom. They recorded that Theodore Bates of Watervliet examined the circular bundled broom and determined that flat brooms would move dust and dirt more efficiently. The bundles were put into a vice, flattened, and sewn in place. By 1820, Shakers had developed machinery to improve the quality of brooms and discovered that wire was an effective way of securing the broom handles. Settlers throughout the Appalachian region blended their skills and crafts. Although brooms were manufactured in Massachusetts and sent all around the country, there were isolated Appalachian communities that carried on the traditions of the old ways well into the early 1800s. 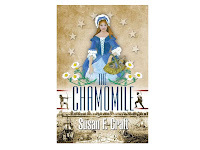 Susan F. Craft is the author of The Chamomile, a Southern Independent Booksellers Alliance award winning Revolutionary inspiration romantic suspense. Sharon, what a nice way to start my day, knowing that you enjoyed The Chamomile enough to pass it on to your sister-in-law. I'm smiling. I wrote a sequel entitled Laurel, which is represented by Linda Glaz. It's about Lilyan and Nicholas' daughter. If you think of it, would you pray that it will find a good publisher? 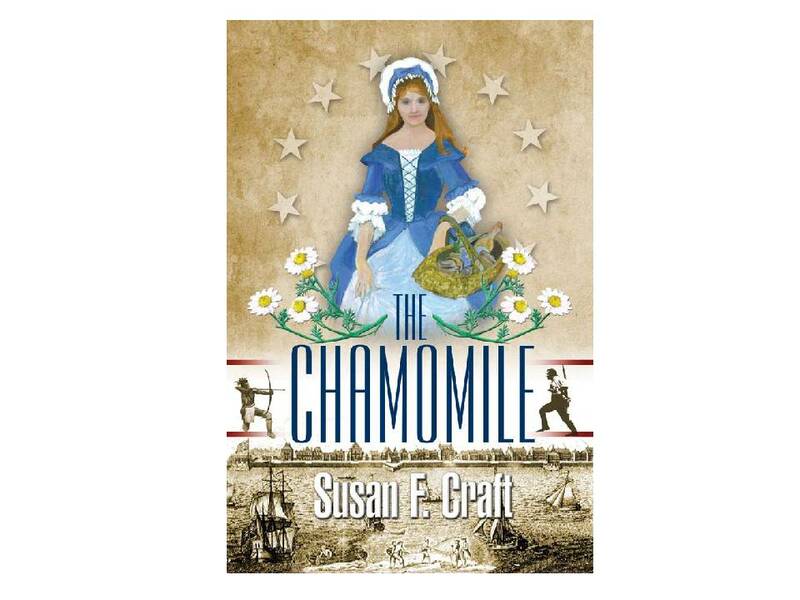 I'm writing a third in the series about Lilyan and Nicholas -- it's got pirates in it! Fun post, Susan. I got to watch a craftsman make a broom at an amusement park (might have been Dollywood in Pigeon Forge, but it's been a while back) once. Of course it wasn't as authentic as the Shakers in the 1700s, but it was still very interesting. Thanks, Kathleen. I love research and get excited when I discover interesting tidbits of information. I really enjoyed this post. I had no idea Ben Franklin had a hand in brooms. I want to plant some of that broomcorn! That would be fun. Thanks for the informative post! Hi, Sally. I think I'd like to grow broomcorn too, just to see if I could make a broom. We always say if you're ever in a trivia contest and the question is about who invented ...? You'll have a great chance of being correct if you answer Benjamin Franklin. It's amazing the inventions he was a part of. Wow, who knew brooms came about that way. :) Interesting post!! Thanks, Susan. So glad you enjoyed the post. Susan, you've given me a new appreciation for my broom. I like to good "old fashioned" variety. Now I know why - a fascinating history. I wonder if folks 200 years from now will consider the history of the plastic fiber brooms as captivating. Hi Susan! Great post!!! Would you believe that my husband and I have been in the broom and brush business all of our married life! My husband grew up in the business and his dad started work making brooms and brushes as a young man. Our business dates back to 1907! Many changes have gone on since the business started and we hope that it continues to thrive for many years to come.